Many thanks to Stew for helping me with this. I've been thinking recently of changing the wiring again to have the knob nearest the strings to only control volume for the bridge pick up and have the other volume for the other two pickups. Hmm, not sure at this point. One thing is for sure, the Strat with two volumes suits my playing a lot more and has really led to me exploring more of the range of sounds available. 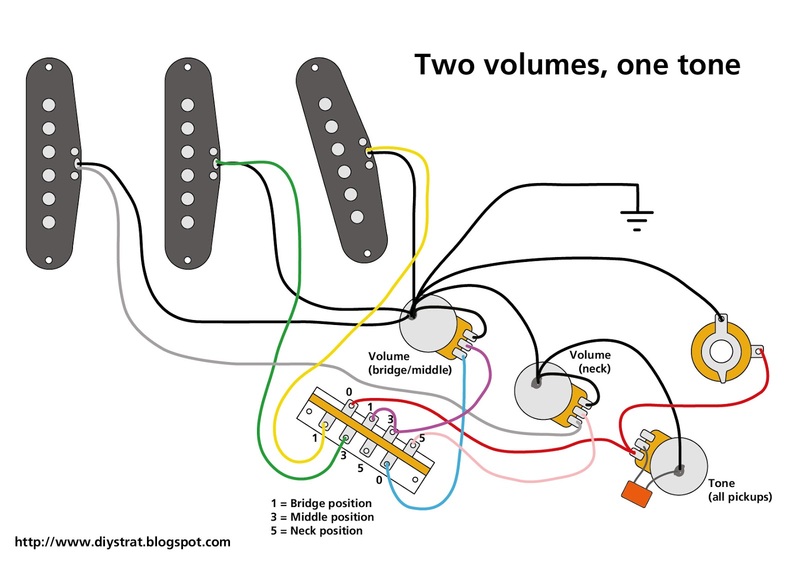 Is that possible to do the same with a switch like this http://www.strat-talk.com/forum/tech-talk/19366-squier-5-way-switch.html ? It's a normal switch but the 0 pin is Just one instead of two..